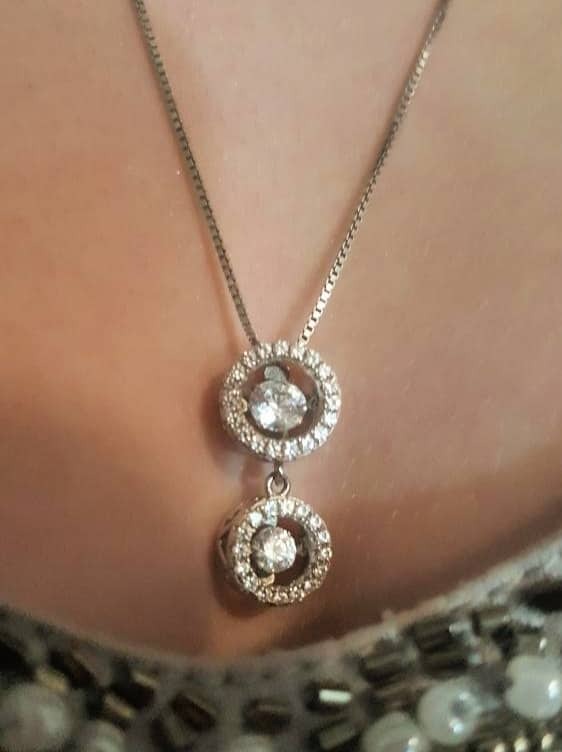 We received a Dancing Diamonds necklace from Mama's Jewelry in exchange for this post. All opinions and our love for jewelry remain our own. February is the month of love. At our house, it has been filled with expressions of love, roses, stuffed animals, chocolates, and dancing diamonds. Since MacKenzie was a little thing, Valentine's Day has been her favorite. Perhaps it's a day dedicated to making those you love feel special--though she does this year round. This year she was even more invested in February. Not just for Valentine's Day, but two days before the holiday, she has an anniversary with her boyfriend. Last year, they were a couple of fewer than 48 hours and exchanged chocolates. It was appropriate and made her heart thump. This year she was spoiled with a stuffed animal, a large box of chocolates, a single pink rose, and a fluffy pink pillow. When it all died down, and February was counting out the days, he stepped in with Mamas Jewelry and a dancing diamond necklace. It's a pendant MacKenzie has been wanting. The necklace is a platinum-plated over sterling silver stunner. It features a SPARKLY MOVING Swarovski Zirconia. The center cubic zirconia is suspended from two fine points and is designed that the stone does not touch the body. It continuously moves in a vibrating fashion catching and reflecting light. The necklace includes an 0.8mm 22-inch adjustable box chain, with a lobster clasp with a top center stone of RD5.00mm and a bottom stone of RD4.00mm. The sides of the center stone enclosure feature 35 RD1.30mm zirconias that add to the sparkly magic! 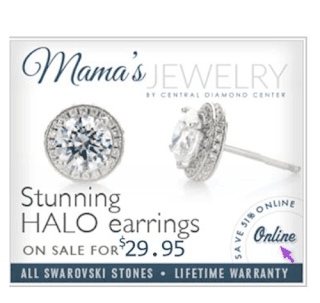 Mama's Jewelry features beautiful jewelry such as rings, necklaces, pendants and more at affordable prices. 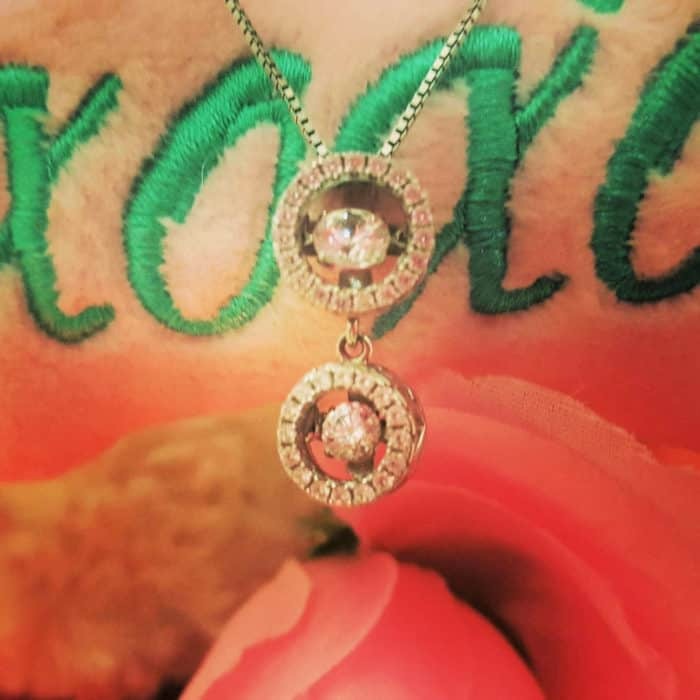 Most of the jewelry can be personalized with stones that reflect children's birthdays, or even a couple's birthdays, for a sentimental piece. There are classic pendants as well as baby shoe, a tree of life and infinity shapes. Add birthstones to make the pendant a special keepsake. You'll find sterling silver earrings available in round studs and dangling styles. Each pair comes with a 14K gold post. If birthstones aren't for that special lady, Mama's Jewelry also offers different cuts with Swarovski Zirconia stones. The size of the stone can be customized. Mama's Jewelry also offers bracelets. The tennis bracelets with Swarovski Zirconia are set on sterling silver, platinum, yellow or rose gold plated. 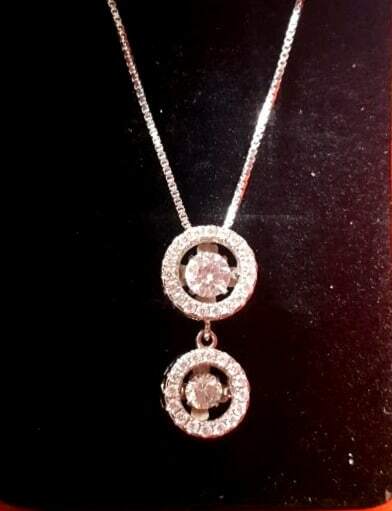 This Dancing Diamonds necklace from Mama's Jewelry receives many compliments and catches the eye of so many. Whether shopping for yourself, a family member, or someone else, find the perfect piece at MamasJewelry.com.